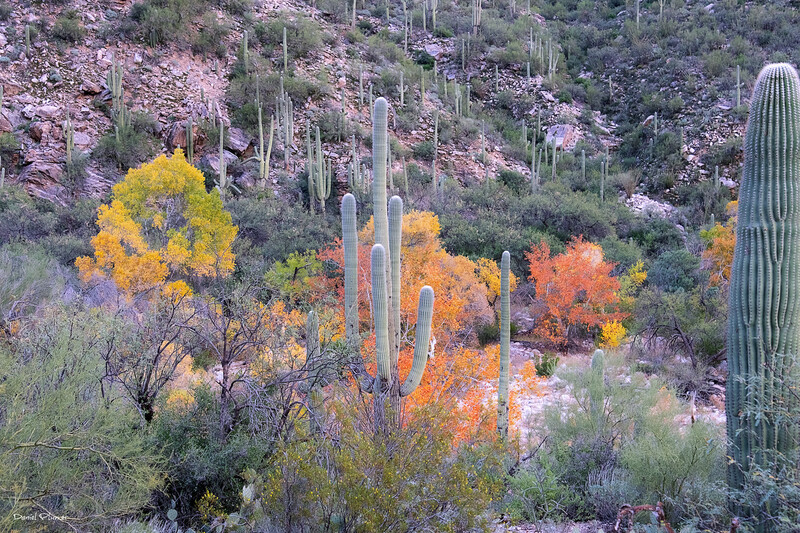 Fall foliage peaking in the Sonoran Desert is a rarely observed phenomenon, but I was able too get to the right place at the right time to capture this beauty. Looks nice. Seems unusual for the desert.